At the corner of industry and need, the forces of life and decay intersect. Entropy is everywhere. 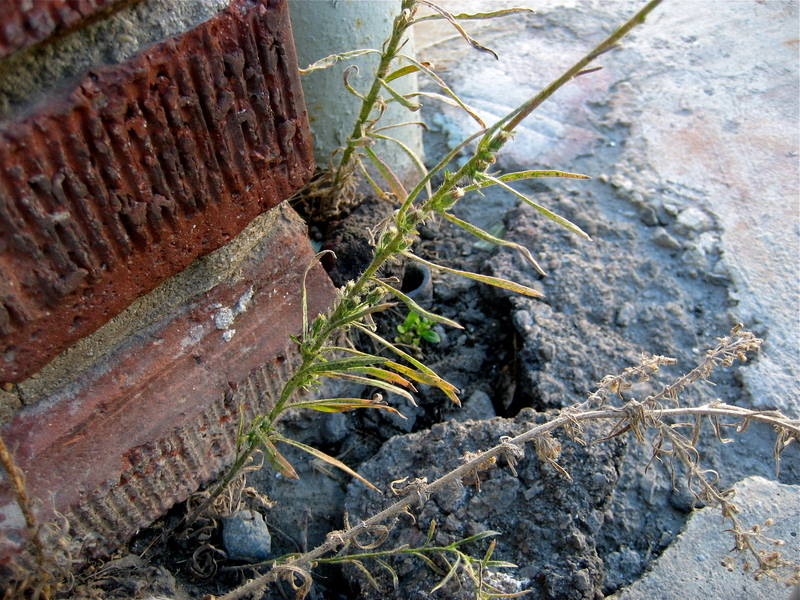 Given a crack, the small force of these weeds work to take a building down. Weed, find an opening and force it bigger with each day of growth! Thank you for the “likes”! ❤ reminds me of how lights comes in through the cracks …..